Lincoln Building is a 61,268 square foot landmark Grade A office building located at the centre of Belfast’s Central Business District. 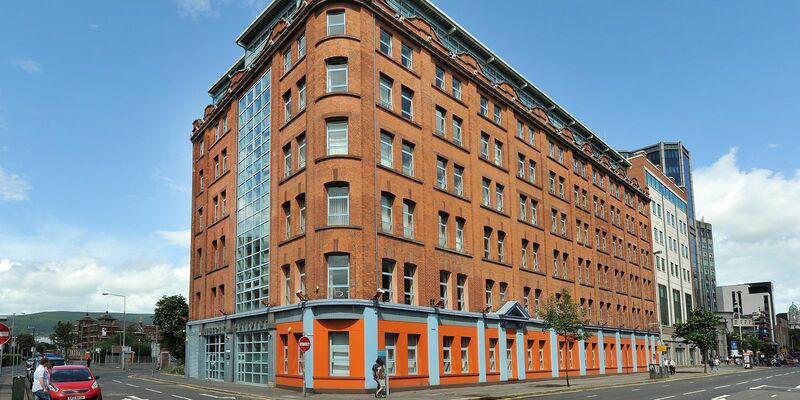 The office is just a short distance from the City Hall and offers unrivalled transport accessibility, being adjacent to the Great Victoria Street Rail and Bus Terminus and highly convenient for the Westlink/Motorway road network. Lincoln Building offers on-site car parking as well as being adjacent to the Great Northern Mall multi-storey car park. Lincoln Building offers seven floors of high specification office space with an extensive frontage to Great Victoria Street. The building benefits from natural daylight on three sides and offers 24 dedicated and secure parking spaces to the rear. The office accommodation ranges from ground floor own door entrance to a feature glazed Executive Level on the 6th floor.